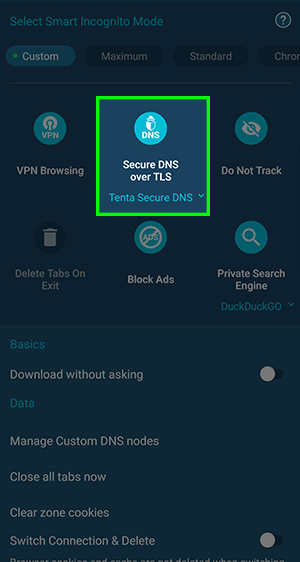 Tenta Browser comes with built-in DNS options. You can assign a different DNS in each Zone. To change your Zone’s DNS, open Zone Settings and select a DNS from the dropdown menu. Step 2. Scroll down to Smart Incognito Mode section in Zone Settings and find the DNS section. Step 3. Tap DNS settings and select a DNS option from the dropdown list. 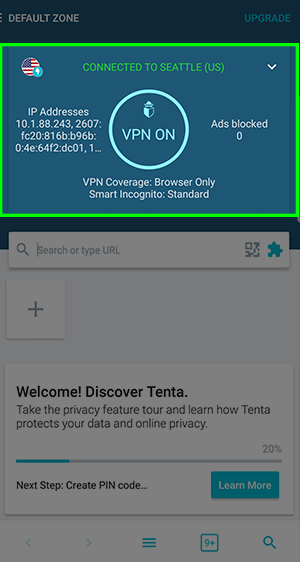 Options include Tenta DNS, our open source DNS over TLS option. 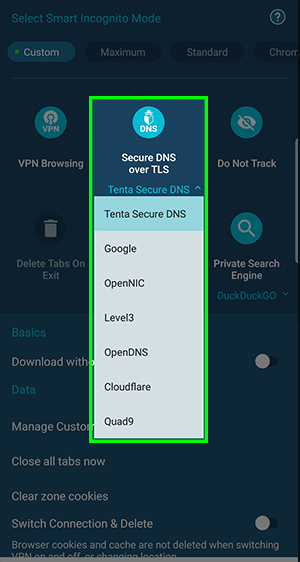 Learn more about Tenta DNS.